Detailed review of Klorane Dry Shampoo with Oat Milk. See what real experts and actual users have to say about this dry shampoo. Klorane Dry Shampoo with Oat Milk made my hair look and feel much cleaner. When I first applied the product, I could tell I was going to like it because of the weight and texture. It was really easy to apply and use; the pigment settled nicely into my hair and once it was brushed through, it blended perfectly. After it was brushed through, it made my hair look very voluminous and texturized. One of the main perks was that it didn’t take away any of the sheen from my hair so it still looked healthy and shiny. The only downside was the smell, which was bearable, but I still didn’t like it. 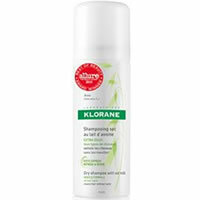 Overall, Klorane Dry Shampoo with Oat Milk is a great dry shampoo that lasts all day long. Klorane Dry Shampoo with Oat Milk felt very nice when I first sprayed it into my hair. At first, it felt cold and semi-damp, but somehow still very light like it wouldn’t bog down my hair. As I let it sit in my hair for a few minutes, I noticed that it had a white cast to the powder and it even seemed to thicken up as it sat on my hair. After a minute or two, I started to work it into my hair and it blended perfectly into my color and felt light enough not to be gross and thick enough to give it a really nice texture. The product is very easy to use, as it comes in an aerosol bottle. It came out very fast, so I had to get used to that and only had to use a couple of quick sprays to get the right amount of product. Like I said, it blended very nicely into my hair and I felt like it absorbed the oil from my hair very quickly. The drying time was about 15-30 seconds depending on how long the spray was for. It wasn’t necessarily wet when it was sprayed onto my hair, but it was a bit damp. The product dried very nicely into my hair. The smell of Klorane Dry Shampoo with Oat Milk was one of the only complaints I had about this product. Although the smell was faint, I just didn’t like it. It reminded me of baby powder mixed with perfume. The overall smell of the product went away very quickly, however, it did linger in my hair for a while. I only smelled it when the hair got in my face, but I really didn’t enjoy the smell. The results I got from Klorane Dry Shampoo with Oat Milk were so impressive. 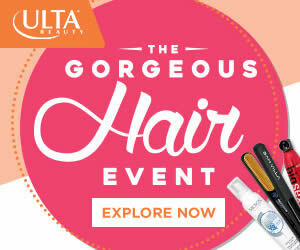 My hair looked perfectly clean after using the product and had such nice texture and volume. On top of looking and feeling cleaner, it didn’t make my hair look overly dry or matte; it still had a nice sheen to it which I was very happy about! The results from Klorane Dry Shampoo with Oat Milk lasted all day. At the end of the day, my hair honestly looked just as good as when I first applied the product. Klorane Dry Shampoo with Oat Milk is $20.00 for 3.2 oz. That comes out to $6.25 per oz. That is definitely expensive for a dry shampoo. Klorane Dry Shampoo with Oat Milk has a 30-day 100% money-back guarantee. To buy Klorane Dry Shampoo wit Oat Milk, Click Here. Smell (Over Time) The smell lessens but is still not great. The Results The products adds a great amount of body and texture.